For this properties of matter worksheet, students need to determine which property belongs to the solid, liquid or the gas. When describing gas, the word invisible would be one of the properties of gas. 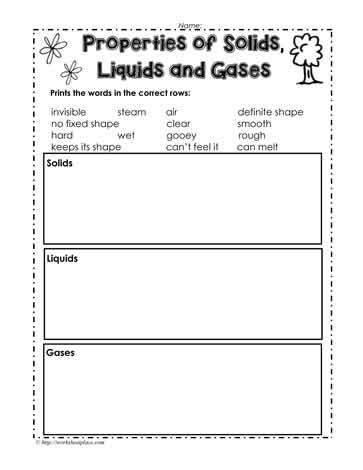 Use these worksheets with young learners for properties of solids, liquids and gases.